Join now as a Volunteer, Sponsor or Program Advertiser! As April looms, excitement the Black Gold rodeo weekend is starting to wake up from it's winter hibernation. The organizing committee has already been hard at work, nailing down the myriad of details that make the event so successful every year. Committee members have been getting everything organized for various individual events, arranging entertainment for the Cabaret and Trade Fair Main Stage and securing sponsors and advertisers. Sponsoring the rodeo is a great way to promote your business in the community. 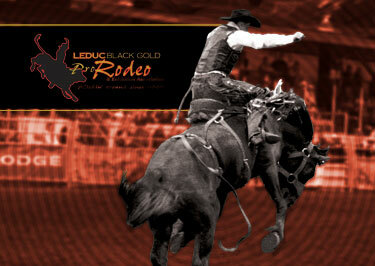 The Black Gold Rodeo is one of the premiere events in Leduc and growing bigger every year. Thousands of people make their way through the LRC during rodeo weekend, taking in the Trade Fair, Pro Rodeo events, Family Fun Fair, pancake breakfasts and Cabaret. There are several levels and types of sponsorship available and packages include advertising in the rodeo program, as well. The rodeo program is made available for sale to those who attend the four Pro Rodeo performances. It is then taken home as a keepsake of a great weekend. Ads are available to non-sponsors in black & white or colour and in a variety of sizes. 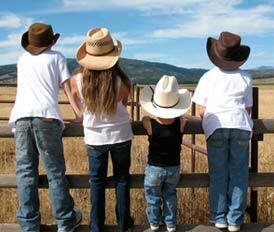 Another way to get involved in the rodeo is by volunteering. There are countless volunteer opportunities available, from distributing posters and flyers to selling 50-50 tickets; from working at the Trade Fair to joining the rodeo association board. Whatever time you have to give, we would love to have you join us. Call 780-887-3235 or click to learn more about volunteering, advertising in the rodeo program or becoming a sponsor. As rodeo time draws near, stay tuned to the Black Gold Rodeo Facebook page for contests, information and the latest updates on various rodeo events.